It’s one of the city’s official languages but there’s conflict over whether Putonghua and simplified characters count. There is a deep undercurrent of resentment and hostility between mainland and local students on our campuses. 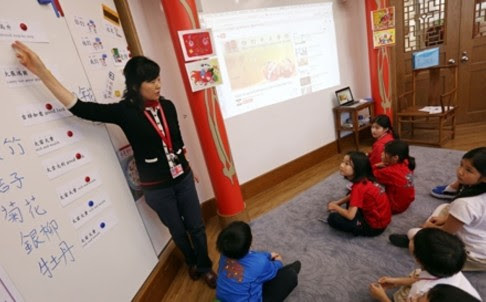 One of the most common sources of conflict has been the use of Putonghua and Cantonese in the classroom. When the former is spoken, the locals complain. When the latter is used, mainlanders cry foul. The latest flare up is at Baptist University, where a student from the mainland posted a note – written in simplified Chinese – on a campus noticeboard complaining he could not understand emails sent by the school’s student union, as they were in traditional Chinese. Therefore, he is withdrawing his membership and wants his fee back. In our current political climate, you would not be surprised that his post triggered an avalanche of online criticism and attacks from local students and others. I agree the poor kid should get his money back. But I don’t see why he should post his complaint in full view of the public. This action alone implies he believed the union’s official communication – and perhaps the school’s as well – should all be done in simplified characters. That’s a bit much. Hong Kong has always used traditional characters. If mainland students want to study in Hong Kong, they should make a effort to learn traditional characters, which after all, is not that difficult once you have a solid grounding in the Chinese language, as most mainland university students do. But what I nevertheless find interesting is that people rarely react strongly when foreigners – mostly Westerners – complain they can’t read official communications – say, minutes from district council meetings – because it’s all in Chinese. Their common refrain is that English is an official language of Hong Kong, too. If a Westerner may complain about official notices being unavailable in English, why can’t a mainlander demand the same of simplified characters?